It’s just odd to be home. Amazed at how quickly we fall into our routines and habits. Instead of arising with plans for hikes and exploration of new places, we’re faced with a daunting list of mundane household tasks and repairs. This is real life, not the fantasy Fireball fairyland (do I sound a bit like Spiro Agnew?) to which we became accustomed to. One of the first things we’ve done is fill up our cycling calendar. John has two weeklong camping/cycling trips planned with the boys, and I’ve got one planned with my best cycling pal Caroline. I’ve somehow found that I’ve got volunteer gigs planned for four bike events. One of the first things on the list was the Ride Around Kent County. This 145 mile bike event is one John started about five years ago as a training ride for the National 24 Hour Challenge. He stepped away from leading the ride, as we weren’t sure if we would even be home in time for the event. When it became evident that we would indeed be home, I (crazily) volunteered to make the traditional RAKCwich for the cyclists’ lunch. 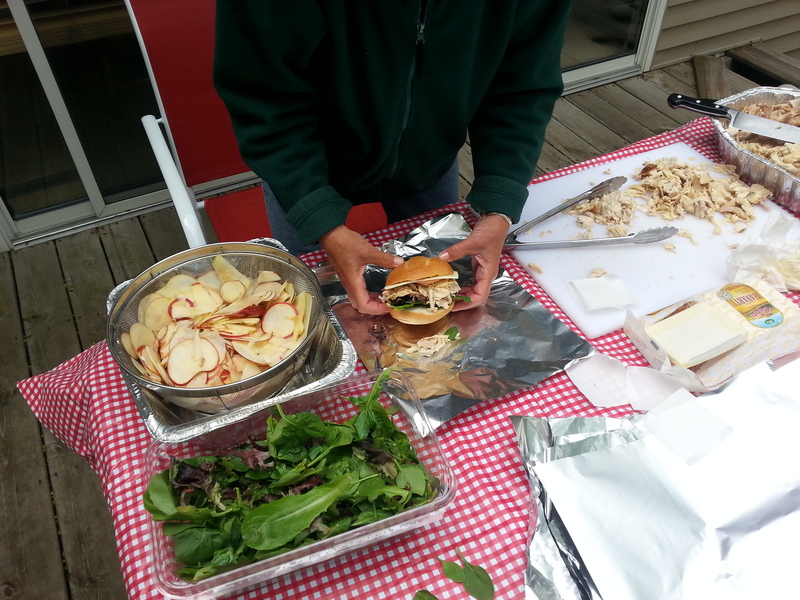 So, on a very chilly Friday afternoon, we found ourselves up to our elbows in sandwich assembly on our deck. Jezzy kept a very watchful eye on every movement. The RAKCwich is shredded rotisserie chicken (Costco has the plumpest, best ones), organic greens, Havarti cheese, and sliced apples on a bakery bun. Tomatoes and condiments on the side. 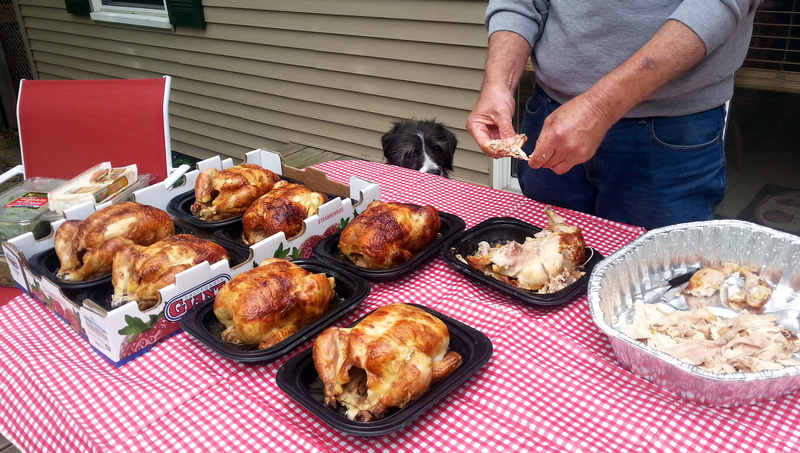 In case you’re wondering, 100 sandwiches require 14 chickens. It was a long day…..and it will be a while before chicken is on the menu around here. Yard work continues. We had a bumper crop of maple seedings hatch in our absence. Seems like the abundance of snow kept all the unraked maple whirligigs moist enough to hatch. While we can simply mow and re-mow the ones in the yard away, the ones in the perimeter bed need to be pulled up one by one. Sunday, I finally finished – pulled about 3000 seedings. Before….. (I know because I counted the first 1000, then roughly measured volume!). After… Now I can finally plant my tomatoes, and get some new perennials and annuals in the ground. 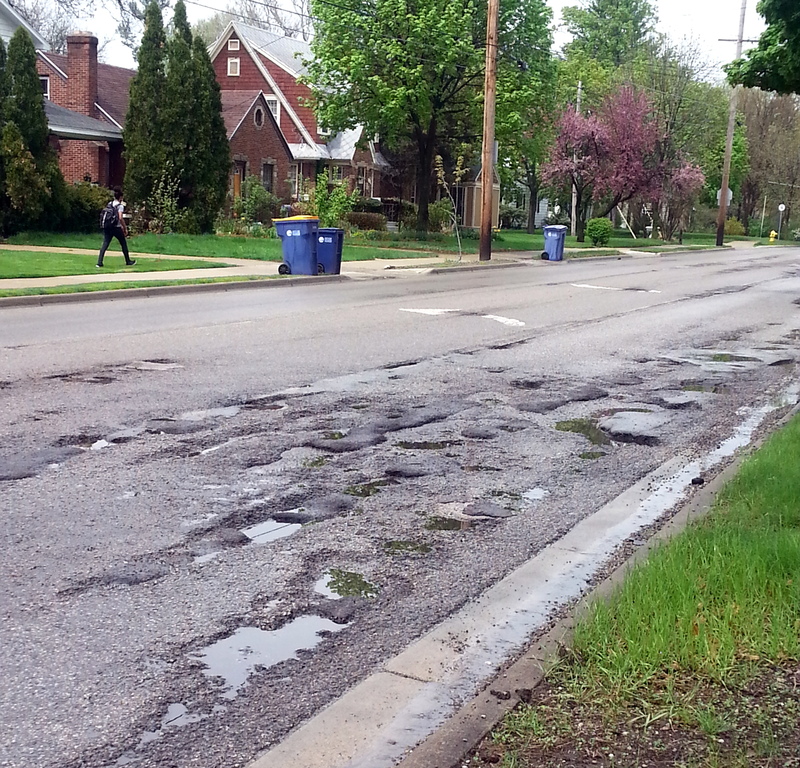 The city streets in Grand Rapids really took a pounding this winter. Riding a bike to run errands has become a danger-filled obstacle course. In many spots, there are simply holes, threaded together with thin strands of pavement. This is the main street nearest our house – cars and buses are all fighting me for a path though this mess. I realize that it will get better, but it sure can take the fun out of a bike ride. Some of you may remember the post from our stay at Antelope Island State Park in Salt Lake City. We were approached by folks who wanted to use the Fireball as a backdrop for their book catalog. We agreed, and here is the result. 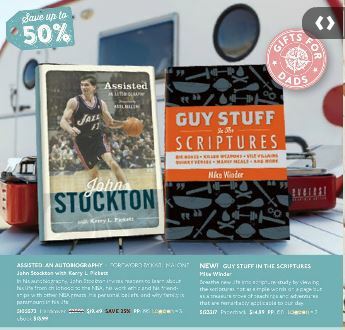 We have to laugh at the books selected, but not only is the Fireball in the photo, they also used our CampChef Everest stove as a backdrop. Hope we are not permanently on the mailing list for catalogs! My sister showed up yesterday with an unexpected treat. For the past few years, they’ve had morels pop up in their back yard. She graciously turns them over to me. Sisters are the best! After seeing everybody’s trailers at the Blue Ridge Rally, I decided that the Fireball needed a bit of sprucing up. First step? Recovering the dinette cushions. 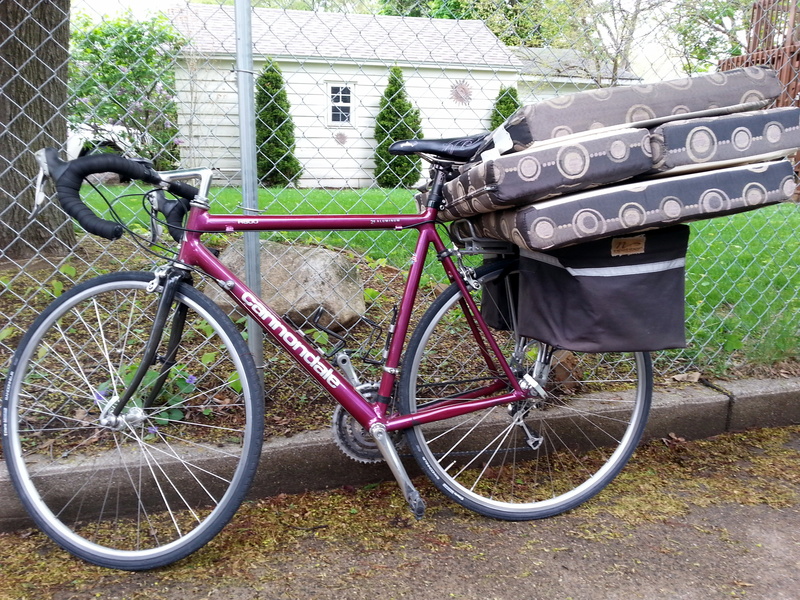 I picked out fabric, found an old friend to do the sewing work for me, and loaded the cushions up on my touring bike to deliver them to her. Can’t wait to see the results. This is Step 1. Getting on the Oral Surgeon’s schedule for my fun-filled summer dental work has been accomplished. It will be a huge relief to get this started – and finished. 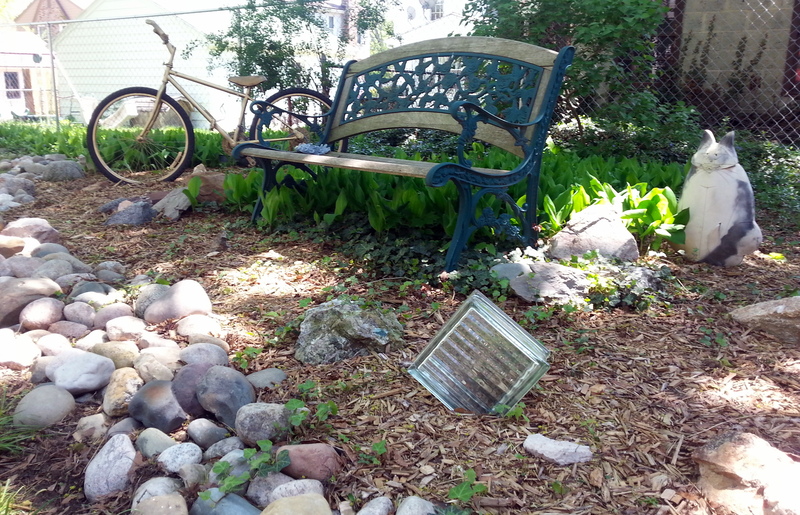 This entry was posted in books, cycling, family, N24HC, retirement, T@DA and tagged books, cycling, Michigan, retirement, T@DA by Judy Crankshaw. Bookmark the permalink. Grand Rapids isn’t a very friendly cycling city with the roads in the condition that they are. I’d say that it must be nice to be home again, but it sounds like a lot of work and that you’d rather be back out on the road. It is nice to be home in so many ways. I’m just looking for something to whine about. The City sure has their hands full in getting the streets into rideabe condition – both for bikes and cars. Those all sound like fun spring projects – except for the dental work! 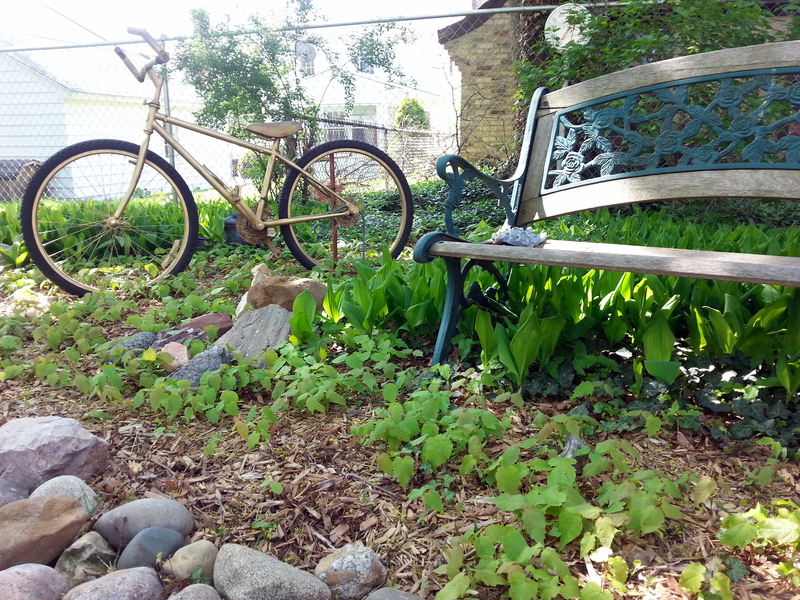 I haven’t had nearly enough time in our yard lately… I’m sure I have lots of little maples sprouting too. I’d rather be camping. Will be very happy when we can see the light at the end of the project tunnel. Right now, it still looks pretty much like a train. I don’t recall Lynn giving me any sharing instructions. Bummer for you. Your non-traveling posts are as fun and action-filled as your traveling posts! My mouth was watering when I read your sandwich description. Apples and chicken are a great combo. I’ll shred rotisserie chix once a year for this, but its a messy, messy job! Anxious to get back on the road, so I can stop complaining, and have something fun to write about! Liked the comment “Reality is so real!”. Enjoyed comparing your return home to ours. You are much more successful in your reintegration. We have dropped out of our bike club and other activities….now the lack of a social life is making me feel isolated.. Need to commit to some volunteer work! Enjoy your summer at home…maybe see you back on the road next winter. I’m anxious to get all the work done, so I can play. That’s my motivation right now. Stalled on the basement – note you are making better progress with yours than I am. Ever since I began cycling in a ‘serious’ way, I always had to work weekends. EVERY weekend! So I missed all the big invitational rides, and the Saturday bike club rides. I know how hard it is to staff events, so I really enjoy volunteering for bike-related events. Our social life seems to center around our bike club friends. (In fact, John and I met thru the Rapid Wheelmen). David and I met on a Chattanooga Bicycle Club mountain bike ride…1993! Bike clubs are the Happy Hunting Ground, aren’t they? No ‘finger’ sandwiches this year. John was hovering while I was zooming apples over the mandolin. A bit nervous. 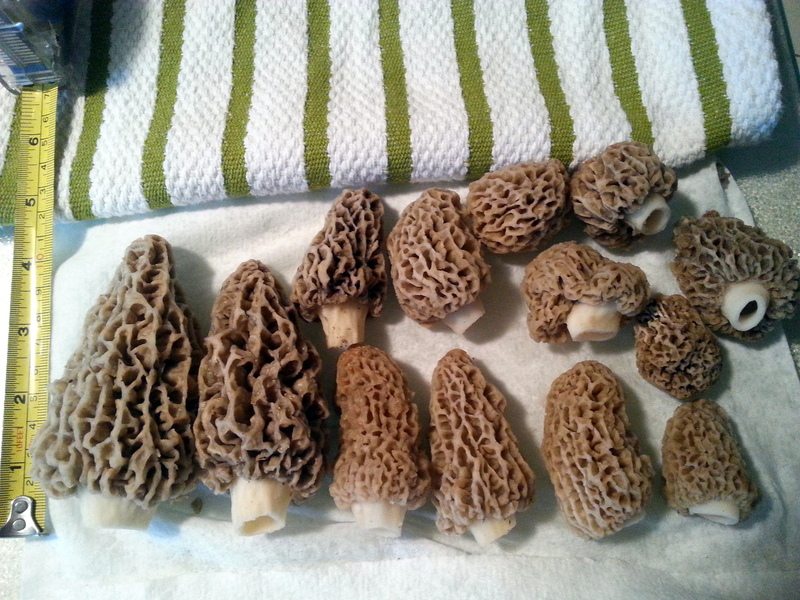 Can’t believe Lynn gives me the morels. She gets a few more each year. 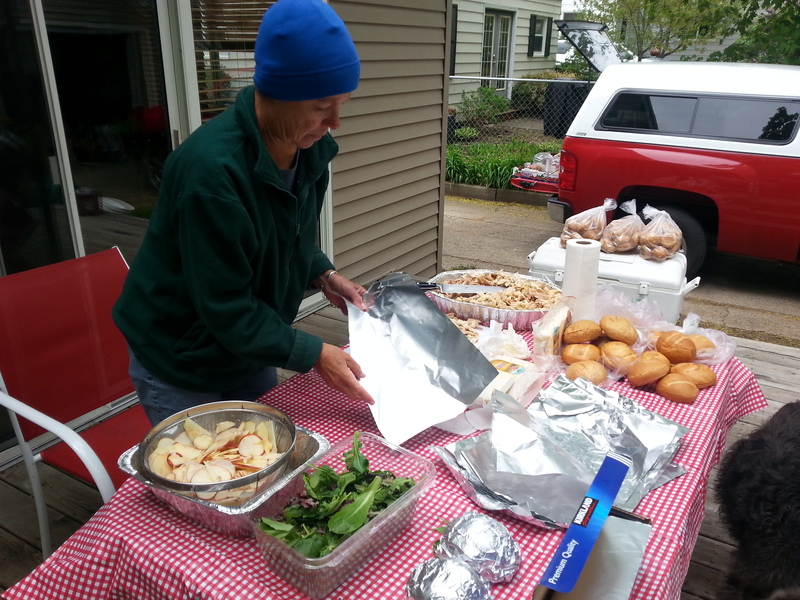 Thanks John and Judy…the sandwiches were yummy!!! You’re welcome. Nice ride – are you in for the N24HC? Love rotisserie chicken. The sandwiches look yummy. We had morels pop up in our yard this year. First time. Wow. Fun times at home. I bet it was kind of fun in a fulfilling kind of way to make all those sandwiches. One question…who’s Spiro Agnew? I feel a responsibility to continue the sandwich tradition for the RAKC. Goofy, isn’t it? But, they are good, and riders seem to appreciate them. Don’t give me the Who’s Spiro….crap. Nattering Nabobs of Negativism? Even a youngster like yourself should have heard of that. If you seriously don’t know who he was, he was Nixon’s VP, who let off a few alliterative blasts which became quite famous in their time. He was forced to resign due to having taken kickbacks while Governor of MD. (end of history lesson). You were kidding about not knowing, right? Even a youngster like you? I’ve got a Spiro Agnew tee-shirt just for you :-) I’ll bring it to the 2015 BRR. Yikes! Neil, I probably won’t sleep between now & then (worrying) in anticipation. Ahh Reality is so real. Gee, thanks. I enjoyed re-living the BRR thru your videos as well.